Robert Iwanabe, who suffers from dementia, has a feeding tube and is at risk of falling, went missing from Hancock Park on Friday morning, according to the LAPD. Iwanabe was last seen walking south on La Brea Avenue toward Beverly Boulevard after leaving his home in the 500 block of North La Brea around 10:30 a.m., the LAPD said. 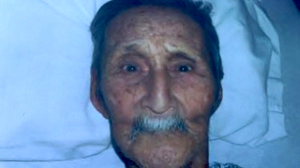 He is described as Asian, 5-foot-8 and 86 pounds with gray hair and brown eyes. He was wearing khaki pants, a green T-shirt and possibly a blue jacket. Anyone with information regarding his whereabouts was asked to call the LAPD’s Wilshire Station at (213) 473-0476. UPDATE: The LAPD Missing Persons Division told The Rafu Shimpo on Monday that Iwanabe was found unharmed late Friday.